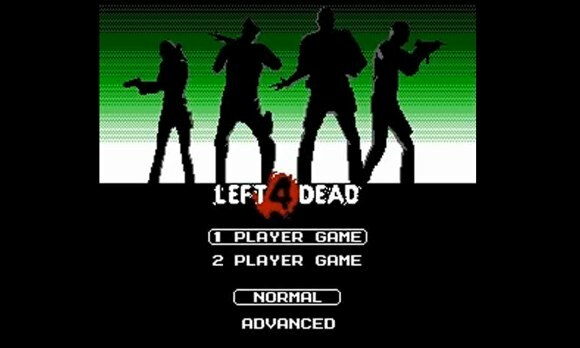 Left 4 Dead goes retro. From Eric Ruth Games, Pixel Force: Left 4 Dead! (Click the link to go to the website to download it.) This is a launch for a whole slew of Pixel Force games that developer Eric Ruth will produce. Get it and play it for free –it has multiplayer. Even the music got a proper retro-ing, not just the graphics. Have fun smashing some pixel-ed zombie heads! Tagged Free Download, Left 4 Dead.